Doing good towards other people without thinking of any payment in return is such an exceptional act of kindness. Teenager’s life in High School is not complete if one will not experience the Homecoming Dance. What added more to the excitement is he will get to go to the dance with his date and if one gets luckier, the date will happen to be his crush. But sadly, there are some that will go to the dance without any partner because they were rejected. 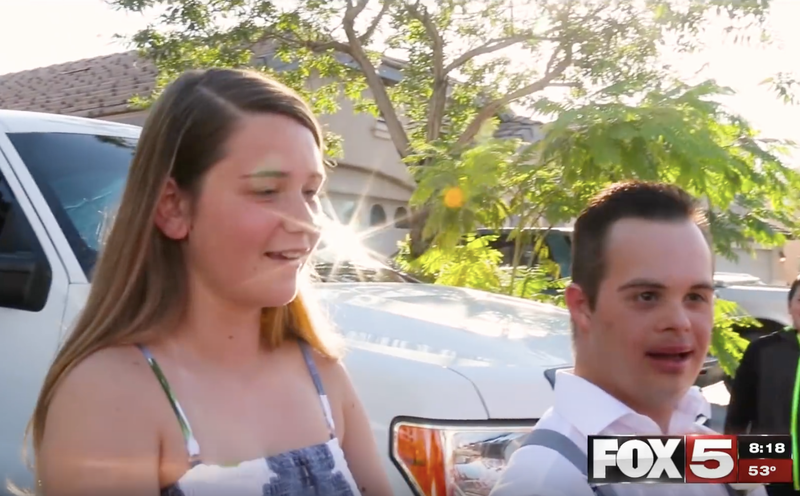 Seventeen years old Daniel Rivas with Down Syndrome is one of those ordinary boys who wanted to attend the dance with a partner. He was rejected after reaching out to one particular girl. But, it was indeed a blessing in disguise because his classmate Kylie Fronius, after hearing what happened, asked him to be her date! It was a simple gesture of kindness but it turned out to be a big surprise to the two friends. News like this spreads so fast as a lightning, reaching the Las Vegas Fox 5 Surprise Squad. 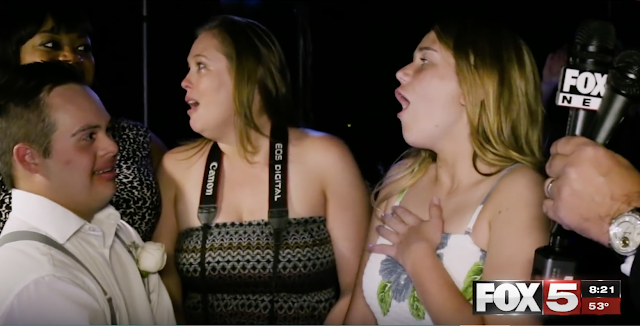 To their surprise, the whole squad was knocking at their doors to cover their story and give them the biggest surprise of their lives. Daniel’s mom, Tonya, was filled with gladness and gratitude to Kylie for seeing his son as a person without any disability. The whole Fox 5 Surprise Squad headed by Monica Jackson, the host of the show, planned one splendid surprise. It started with a ride in a sparkling Rolls Royce. Before the dance, they got to have a fancy dinner at a Bistro where the Chef personally came out to welcome them. Daniel’s mom who was in tears of happiness, confessed that she could not financially afford to bring her family to eat there, which added more meaning to the surprise dinner. 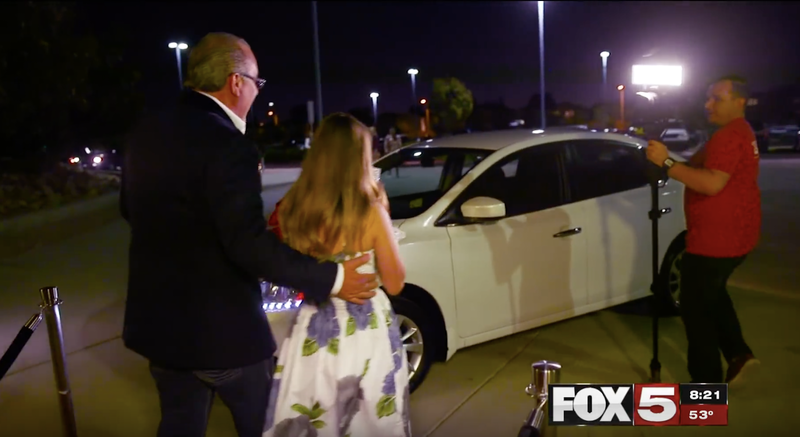 As the night is getting older, Kylie and Daniel headed to the Casino where their homecoming was being held, and they couldn’t believe what they saw. A red carpet was rolled down only for them to walk-on, yes, just for them! 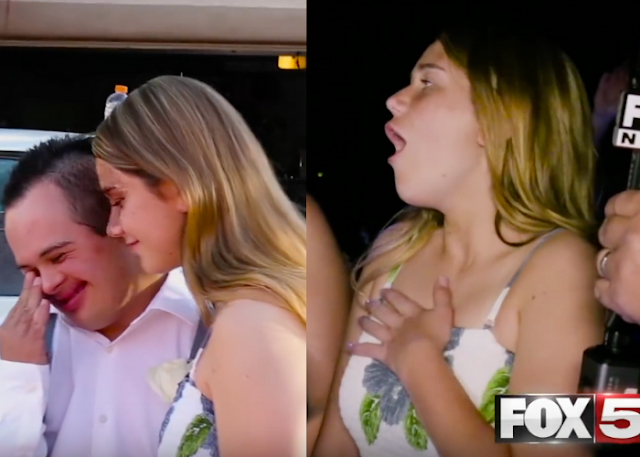 Just as they thought the surprise was over, Monica Jackson made an announcement that truly changed the lives of the two teenagers. This time, Daniel and his mom cried in gladness knowing that his college is secured already. While Kylie was so speechless upon seeing the car that was a reward for her little act of kindness. Truly, doing good for others reap rewards but to Kylie the whole thing was just an amazing surprise that she was not expecting to receive. She just wanted to make a friend happy but it turned out that the two of them is not just happy but blessed with so much presents for doing a kind-hearted gesture. Most people associate good memory with intelligence. After all, being able to recall facts at a moment's notice is pretty impressive, especially when you're in school. And with that, the opposite can be said for forgetful people. Most of the time, when we fail to remember someone's name, or forget why we went to the kitchen in the first place, we feel dumb. But you shouldn't feel this way. It's completely natural to forget. In fact, it might even mean that you're actually an intelligent person! A study published in the Neuron Journal states that forgetting is actually the brain's way of making you smarter at the end of a long day. The study, conducted by researchers at the University of Toronto have debunked the correlation of perfect memory and high intelligence, stating that just because you remember a lot of things, does not necessarily mean that you are a smart person. 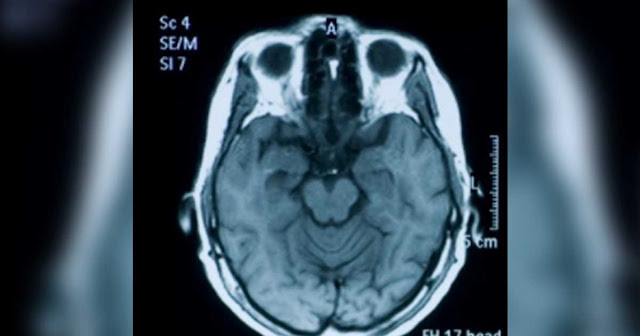 They even go so far as to say forgetting things might actually make you smarter. Morality is a difficult concept. What might be wrong to you might be right to someone else. That’s why it has always been a touchy subject, and will continue to be so long as there are differences in opinions in life. But one thing is for sure though. There is such a thing as evil, and there is no mistaking an evil act , no matter who you ask. That’s why when you see an “evil” person, you’ll just get a feeling. You might not know why you can tell, but you just know. Fortunately, experts in the field of psychology have banded together and found out these 10 signs that a person is evil. If anyone you know or have met have most of these qualities, then I suggest you break off all ties immediately. 1. They lie. Almost all of the time. Few things cause more distress in your life than being acquainted with a grade A narcissist. They always have to make every situation about themselves and they never seem to care about your own problems. Even though they're self-absorbed, they tend to latch on to anyone who gives them attention and drain them of their energy like a social leech. So how do you get rid of them? 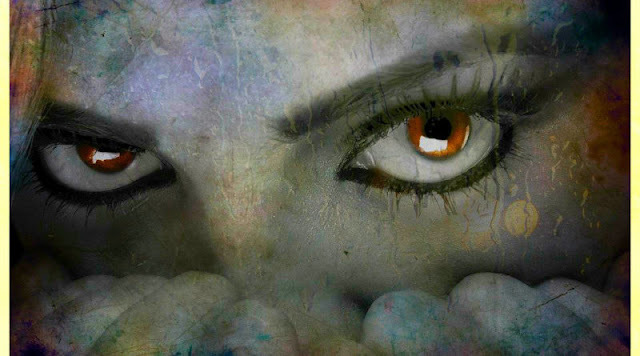 Here's 5 things that terrify any narcissist and make your life narcissist-free! 1. Being left out or rejected. 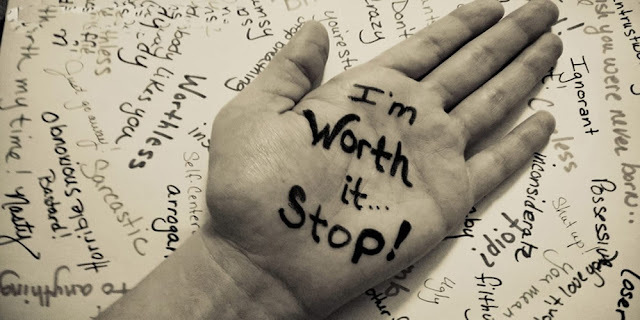 What makes a narcissist thrive is the constant approval of his or her peers. As such, they often surround themselves with a group of people that they can gain a false sense of security from. That's why they are absolutely terrified of being abandoned and left alone. Without the imaginary support of their so-called friends, they are forced to look deep into themselves for support, and they often don't like what they see. What do you use to eat, write, and basically almost anything that is important in our everyday routine? The answer is: those 10 little digits (for the most of us, anyway) right in front of you. Already useful beyond measure, our hands also give one more advantage: they can be used to gauge how healthy you are. Since our hands are always being used, they are connected to many systems in our body. 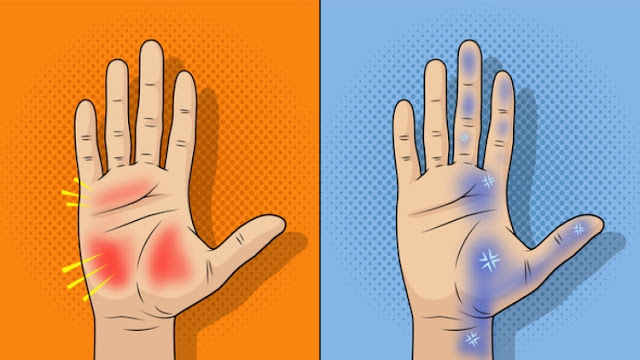 Here are some of the telltale signs that you can notice on your hands that may be associated with health concerns on different parts of your body. Verbal Abuse is now very common in the society. It is characterized by underlying anger and hostility. It is a destructed form of communication intended to harm the self-concept of the other person and produce negative emotions. In many cases, verbal abuse is something visible and potentially causing injury, but not too obvious. At these times, recognizing verbal abuse is not always easy. How would you know when you are feeling unsafe because of someone’s words instead of their actions? Here are 5 behaviors that reveal the said abuse in a relationship. Signs of verbal abuse include manipulation. According to the National Domestic Violence Hotline, a verbally abusive loved one tells you when you can or cannot leave the house and even decide what you can wear. This controlling partner may diminish your independence in other ways. If this is the case, you should step back and assess the situation.